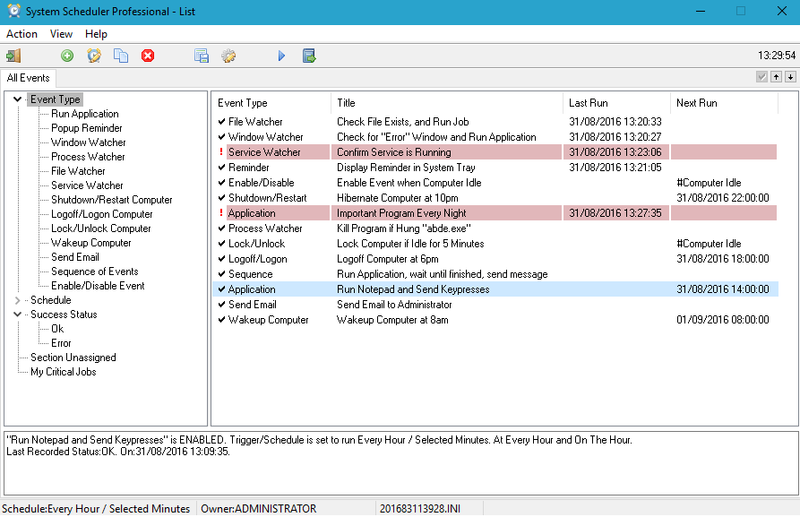 System Scheduler Free schedules unattended running of applications, batch files, scripts etc. Intended as a replacement for Windows' own scheduler, the program adds more flexibility and features including popup reminders for appointments, reminders, and events that can be set to run once or every minute, hour, day, week, month, or year. The program also includes it's own scripting tools for mouse, keyboard and other operations. Writes settings to: Last window location is written to Windows registry, while the scheduler database is written to the local directory. Wow, I'm a powerpro user, too. Funny how we are all checking out a system scheduler... I use pycron on my server, however. How to extract: Download the ZIP package and extract to a folder of your choice. Launch RunAsDate.exe. This is __philippe's territory but I noticed that file version is 1.3.0.0 while "About" shows version 1.31. 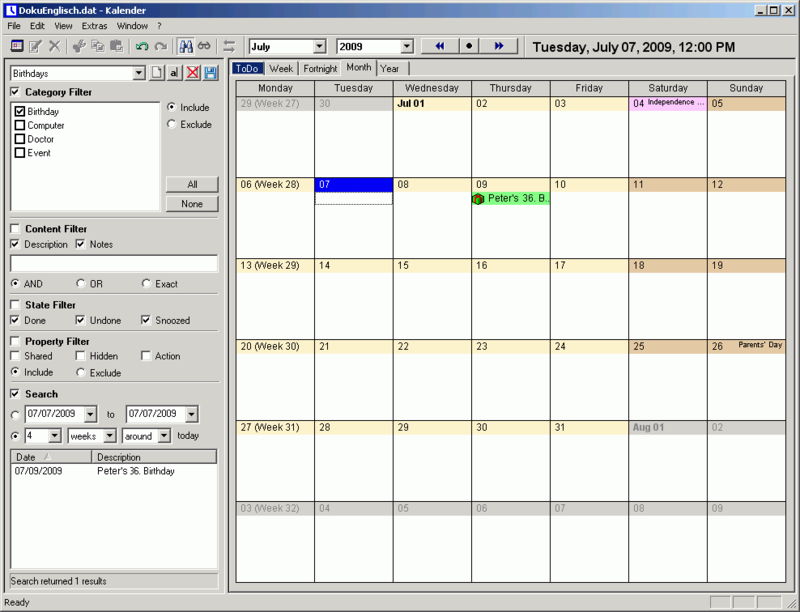 UK's Kalender is a personal calendar that sits in the system tray and reminds you of upcoming events or deadlines. Events can be displayed in weekly, fortnightly, monthly or yearly view. They can also be organized into different categories with their own settings. Documents or programs can be attached to an event so that they are automatically launched when the event fires. The program also allows sharing via network (multi-user). How to extract: Download the "Portable" ZIP package and extract to a folder of your choice. Launch Kalender.exe. New options for the "Change Category" dialog. Changing the category when entering a new event does not overwrite your description and notes if you hold down the Shift or Ctrl key while changing the category. 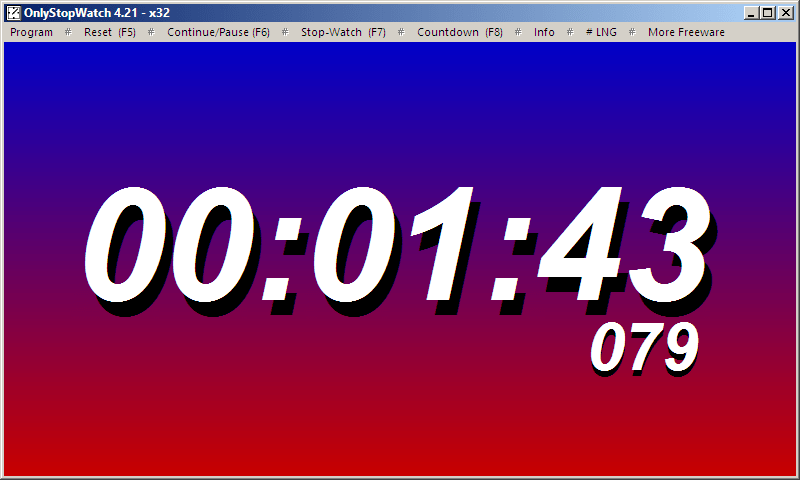 Additional display in the reminder window for the next occurrence of a recurrent event. The size of the event list in the reminder window can be adjusted now. The latest version is 2.4.4.